Bowie Contracting - What's New? "A Balcony View to an End Result"
At B&CRAOs February seminar held on February 16th, Association President Philip Sarvinis expressed our appreciation to members of the Safety Task Force by presenting them with special plaques. 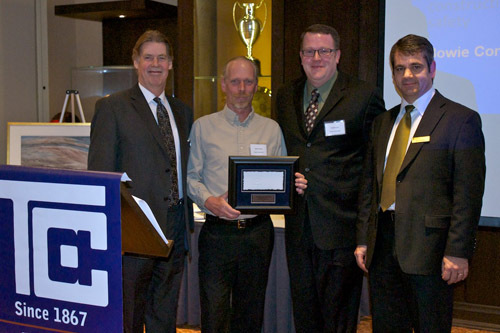 The Toronto Construction Association Best of The Best award for outstanding safety performance in 2011 was presented to Bowie Contracting. The award recognizes a company that treats safety protocols with a genuine sense of urgency and is innovative and rigorous about ensuring that workplace safety is paramount. We are pleased to introduce Jason Biagi to our team. Jason joined the Bowie team in January, 2010. Jason works very closely with Vice President Craig Bowie creating a unique synergy. When estimating Jason's pencil is sharp and don't think our competitors haven't noticed! 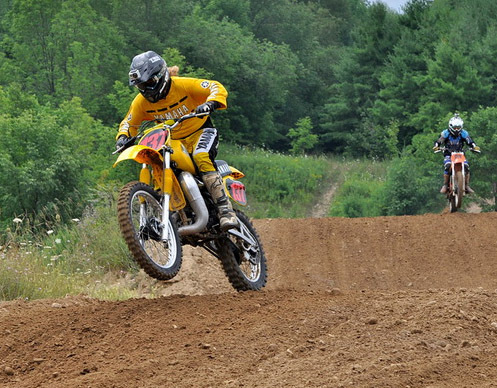 Jason prides himself on the ability to make his projects run smooth, complete both on time and on budget. Jason comes from a long line of builders and construction professionals. Jason started working in the field in his teens. From 1990 to Feb, 2010 Jason worked his way through the ranks of his father's company; Fairway Restoration, where he and his older brother, Anthony, learned the industry from the ground up. Both Jason's father Richard and brother Anthony have joined the Bowie team along with other key staff from Fairway Restoration. This union has broadened Bowie's capabilities, blending successful thinkers and complementary skills together. After gaining a wealth of experience in the field Jason continued his academic education at George Brown College taking industry specific courses including the full suite of construction estimating. Whether its project management, planning and scheduling, cost management, or quality control Jason has the skill set in his tool box. 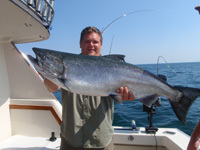 Jason is an avid kayaker and angler, his love of the outdoors is tempered by the life long passion for woodworking and mechanical model building. Bowie Contracting was once again a large sponsor for the IRC/City Kidz Annual Golf Tournament. It was an amazing moment for City Kidz as Rev. Todd Bender, founder and Executive Director accepted a cheque for $40,000 for the 5th year in a row. 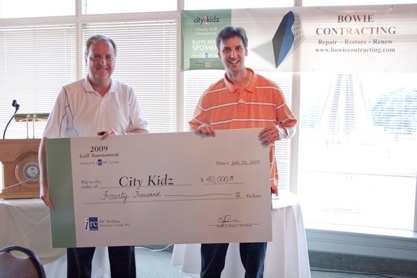 The annual IRC City Kidz Golf Tournament has now raised over $200,000 for the children of City Kidz. Sixteen hundred children are presently impacted each week at City Kidz and the tournaments investment continues to allow City Kidz to expand their programming to more children living in the inner-city of Hamilton. Its been a difficult year for many of our kids and families, and knowing that we can count on the consistent support of the tournament to help us continue, means a lot to all of us here, said an emotional Todd Bender, Founder and Executive Director. 148 participants enjoyed 18 holes of golf during one of the few sunny days of the summer. Hosted by the IRC Group on the beautiful Dundas Valley Golf and Curling Club, the course offered both beauty and challenge for everyone. The day finished off with a full buffet dinner, complete with lobster, roast beef and all the trimmings. Guests were entertained by local celebrity M.C. Sunni Genesko, Co-host of Klite FMs Sunni and Hayes morning show. At the end of the evening every guest received a quality prize for their participation, even the team declared most honest golfers received something for their efforts! Each year the event sells out, and boasts a waiting list of participants eager to secure a spot. City Kidz would like to extend its gratitude to all involved, and is looking forward to next years event, which has been tentatively scheduled for July 27th, 2010! ! Durham Condominium Corporation #34 wanted to improve energy efficiency at their 44 Falby Court condominium building. Consultant Vera Zek advised the owner to install an air and vapor barrier membrane, insulation, and metal cladding system. 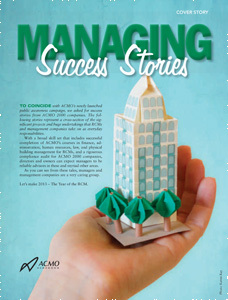 The outside of this 18-story building consisted of fluted, concrete shear walls. The irregular shaped walls and the air and vapor barrier membrane originally specified for the job posed a real problem for the subcontractor, Bowie Contracting, because the membrane required the use of a trowel for the application. A peel-and-stick or roller-grade product on approximately 8,200 square feet of unsmooth, fluted wall would have been extremely labor intensive, keeping Bowie Contracting on the job longer and costing the contractor and the owner more money. Bowie Contracting employed the services of Aquanorth and recommended that the specifications switch to ExoAir 120 Spray-Applied Air & Vapor Barrier Membrane because of its efficiency and ease of installation, especially where irregularly shaped walls are a concern. Since ExoAir 120 exceeds the industrys most rigorous standards for air permeability, it would perform as required and ExoAir 120 was permitted as a substitute. ExoAir 110 Sheet-Applied Membrane and ExoAir 120 Roller Grade were used at all of the detail areas. Spectrem® 1 and Spectrem® 2 Silicone Sealants were used to seal all of the window and perimeter joints. Since these products are all part of the ExoAir Air and Vapor Barrier System, they provided an air- and vapor-tight seal, and eliminated any guesswork when it came to compatibility between system components. The ability to use a spray-applied air barrier membrane reduced Bowie and Aquanorths time on the job significantly. Where the specified membrane would have taken several additional days to complete, ExoAir 120 only took three to four days to apply without compromising the integrity of the system or its performance and saved the owner money.